Finally the International break is over and we can get back to league football, it has only been two weeks but it seems like an eternity since our last game, hopefully we will be raring to go. It always feels like its a fresh start after an International break and where that might work for some teams, I don't think that the break came at the right time for us this time around. We have taken eight points from our last four games which included games against Arsenal and Chelsea, we brushed aside Hull and Villa without breaking much of a sweat and were clearly starting to click, hopefully the break will not break our momentum. As for Spurs, well I haven't managed to see a great deal of them this season so I cannot possibly judge them to much, they clearly have a talented squad and some outstanding individual players and will surely pose a threat. Last season we smashed Spurs twice and although I am not expecting that to happen in this game, I still think that we will win the game quite comfortably. Like I said I haven't seen Spurs play loads this season but when I have seen them play I felt like they were lacking defensively, a lot of their midfield is attack minded and the defence is not protected well enough, once you do break through what is effectively a two man midfield then you hit two centre backs that lack the pace to keep up with the likes of Silva and Aguero and I think that we will capitalise on that. Samir Nasri continues to recover from a groin injury, Fernandinho is expected to miss out with a hamstring problem and Eliaquim Mangala is also set to miss out after returning from International duty with a muscle injury, Yaya Toure only got back from International duty on Thursday and may be rested. Hugo Lloris (thigh) and Nacer Chadli (hip) did not feature for their Countries this week but are likely to be fit enough to make Tottenham's match day squad at the very least, Emmanuel Adebayor and Nabil Bentaleb only returned from International duty on Friday and may be rested, Kyle Naughton (ankle) and Kyle Walker (pelvis) remain sidelined. 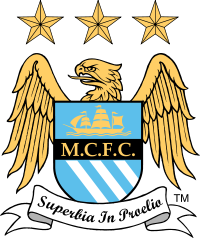 Hart, Zabaleta, Kompany, Demichelis, Clichy, Milner, Toure, Fernando, Silva, Aguero, Dzeko. Lloris, Dier, Kaboul, Vertonghen, Rose, Capoue, Mason, Eriksen, Lamela, Chadli, Soldado. Man City 3 - 0 Spurs. Pablo Zabaleta scores the first goal in a 3 - 0 Man City win @ 200/1.